I was recently speaking at a National Convention in Palm Springs, California on our latest project “My Worst Hire & What I Learned from It”, as well as offering hiring tips to executives from around North America. This “Worst Hire” project came about after numerous clients shared with us their worst hiring mistake and more importantly what they learned from that mistake. From these discussions we interviewed 20 contributors and have compiled their stories and insights in to a book. 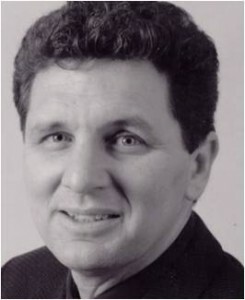 You can review “My Worst Hire & What I Learned from It” at myworsthire.com . Be careful on referrals. So many companies today are encouraging employees to pass along referrals into the company for potential hiring opportunities. This is a great recruitment strategy but the hiring team must be on their guard. This story contributor told us that referrals can be great but they can also entice your hiring team to put too much emphasis on the actual credibility of the person who has referred the candidate. The key warning on referrals is that your hiring team cannot let their guard down and assume that the referral is qualified or capable just because they were referred by someone you trust or respect. Define the job before you start looking. Now this may sound basic and almost elementary as it pertains to hiring, however, it is surprising to observe so many hiring managers who are out chasing candidates without really knowing or defining the job activities of the specific role. One of our book contributors made a very strong point in our interview that every hiring manager must know and understand the success outcomes of the job and the defined tasks to be accomplished over a specific timeframe before any manager starts to look for candidates. What needs to be achieved over the next 30, 60, 90 and 180 day time period needs to be defined? Once you know this then you can start looking. If you don’t have the right candidate – WAIT!!!! Sometimes the best hiring decisions are not to hire anyone. Many managers end up hiring the best of the batch of candidates but the “best” may not be right for the specific role. When we interviewed this one contributor he told us that their company had been waiting for the right candidate for a specific role for over 1.5 years. Hiring from an “A” into a “C” company – What is meant by an “A” company is a firm that has a well-recognized name (brand), strong financial funding and additional resources to support staff. A “C” company is the complete opposite due to its lack of brand awareness, financial capabilities and staff support. The story we shared with the audience had to do with a company that was growing and doing well but it fell into the “C” category of companies. The hiring team interviewed and selected a candidate that came from an “A” company. What the candidate did not know (and failed to ask about) was that all the resources available to him in the “A” company would not be available to him in this new role. The motto of the “C” company was – “While doing your job, if the dishes need to be done – please do them”. Bottom line – limited resources. The candidate selected was used to having excellent support and struggled throughout his first five months on the new job. He just could not adapt to the smaller, more entrepreneurial company. Many candidates can make this type of transition but to be fair to all parties involved, the hiring team needs to be aware of where the candidates are coming from and make a clear representation on what is expected in the new role. This candidate was let go after six months. These are just a few of the dozens of hiring tips you will learn from MyWorstHire.com. 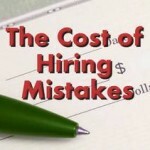 Over the past 26 years of being in the Human Capital marketplace I have come to realize that all hiring managers make costly hiring mistakes. However, there are only a small percentage that learn from these mistakes, thereby reducing these costs to the firm. The intent of the “My Worst Hire & What I Learned from It” project is to assist hiring managers by learning from others’ mistakes and capitalizing on their learning nuggets.